Artist Jill O’Bryan divides her year between urban life in New York City and wide open spaces on a mesa in New Mexico. Shifting Connections talks to her about her newest work situated along former Route 66 where the process of her meditative practice yields to the precision of fact. between Las Vegas, NM and Santa Fe, NM. Courtesy of the artist. Kathleen MacQueen In discussing your work, we could begin in so many places – concept, process, motivation – but I think I’d like to begin with scale. You have an ability to incorporate the smallest common denominator within the most expansive physical and philosophical implication. Shall we begin by contrasting breath with lifespan and the scale of a billboard? Jill O’Bryan I like your idea of starting with scale. This interests me a great deal. There is a passage from War and Peace that addresses the human condition, which is at the mercy of this conundrum: that there is a constant and futile quest for the most accurate beginning and end of some fragment of information, experience, etc. in order to have a closer look and also in order to comprehend. Tolstoy also talks about the infinity of the small. Certainly he perhaps never could have imagined how much further quantum physics would delve into the infinite of the small. The further we go into this territory, the more profound the understanding of what that might mean. Everything we think, perceive, etc. is arbitrarily bracketed (even differently with each individual) so that we can converse and understand. 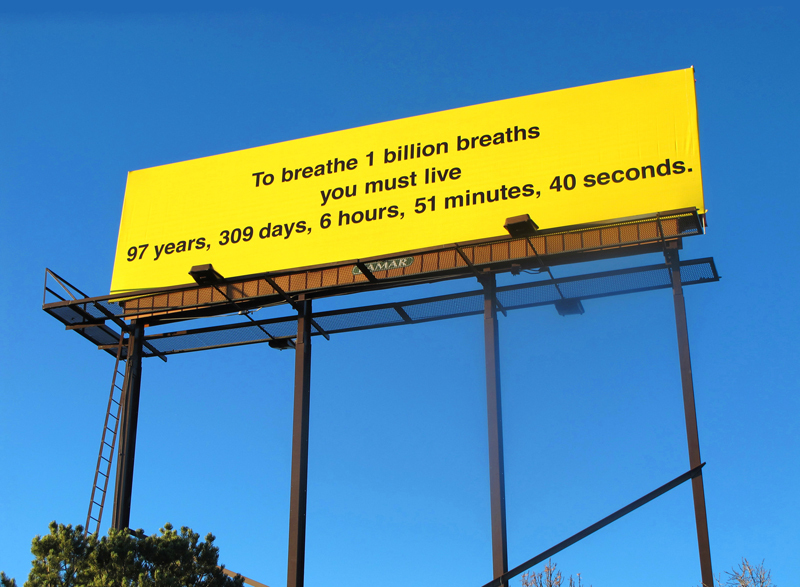 In terms of the breaths billboard… the irony (and perhaps audacity on my part) is to take something universal, basic, and obvious (we breathe a finite number of breaths) and assign to it numbers that I then present as fact. Of course this is an absurdity, precisely due to the fact that I have assumed a concrete rationing of breaths from beginning to end. In spite of this I am taking a fragment while acknowledging the motion of the whole. KMQ There is so much here in this short response! I didn’t imagine when I proposed the conversation that quantum physics would be there in the breath and breadth of your initial response but why should I be surprised? We have spoken before of its significance to impulse/response and the disparate connections between what would seem as non sequiturs in the physical (even emotional) world. But it’s your middle sentence – the one that sits alone (framed by a pause on either side) – that intrigues me. KMQ Paul Virilio in The Vision Machine (1992) refers to Rudolph Arnheim who speaks of sight as beginning from a point a long way off and then zooming in to focus on the object of our immediate perception. How did this project come about? Why did you think of focusing your thought to the format of a billboard statement? And what do you anticipate the experience to be for drivers there in the southwest, virtually in the desert? How much traffic, for example, is on that road? JO’B I love this filmic observation! One could speak of the billboard in this way since we zoom in on it while driving by. I do think of the billboard as something in motion since we are in motion when looking at it. I had been thinking about this billboard for more than a year before I did it. I wanted it to be mammoth, solid, a bit audacious, and a bit comical. In New Mexico there is still an automobile – or rather I should say “truck” – culture. The billboard is on what used to be Route 66, which is lined with billboards, quite a few of which are not the standard corporate ads. Instead you have “foot-high pies,” “real live rattlesnake cowboy boots,” and “chocolate cake as thick as your thighs.” I wanted this billboard to be one in this chain of information. Highway driving there is active and the highways are filled with trucks. The speed limits are high and you move through vast landscapes. Because of the way we relate to them – a high-speed approach and then a zoom past – they connote motion. They are both solid and fluid at the same time. Fleeting really. They are only in focus for a moment. 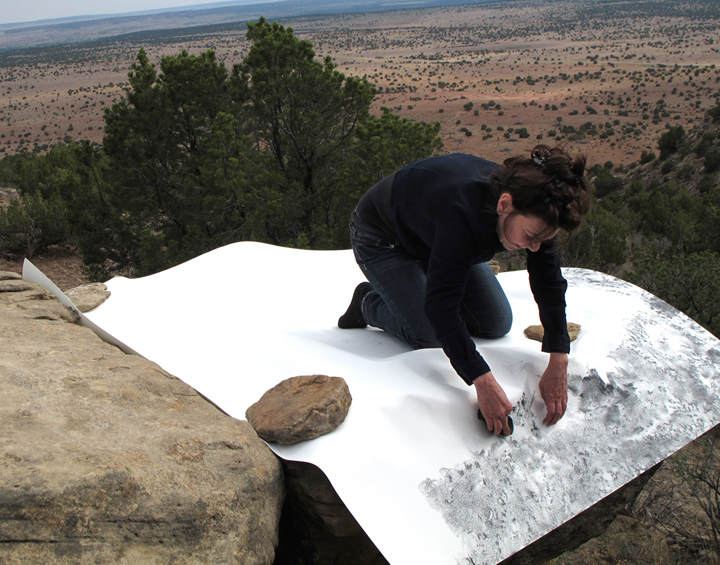 Artist Jill O’Bryan creating “frottage” drawing in the desert landscape of New Mexico. My drawings also reveal a process that is fluid and organic – a meditation on breathing. They are archives of motion, albeit one that is quiet, repetitive, and rhythmic. But the breath drawings are also conceptual. I wanted to name that concept without it being a statement about art or art making so I decided to take it into the desert landscape. KMQ How beautifully you have transitioned to your drawings and the landscape! Is the desert the space where the “infinite” changes for you from the chaos of Internet noise or the profusion inherent in the urban environment to an expansive simplicity? You create “breath” drawings but also a very particular form of “landscape” drawings. Can you describe these two practices and, with them, do we return to Tolstoy’s “infinite of the small”? JO’B The infinite of the small is so large scale! To make the breath drawings I focus inward and experience each breath one at a time, count it, then archive it by making a small mark on a large piece of paper. A Buddhist would say that the infinity of both the universe and nothingness are contained in each breath. There is a tradition of accessing this infinity through repetition – chants, meditations – but we experience linear time through embodiment. 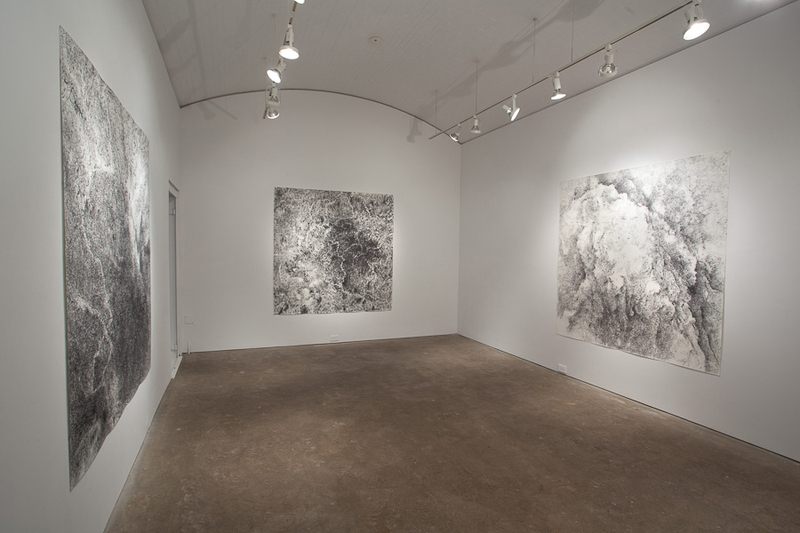 Jill O’Bryan, rock, paper, breath, April 28 – May 3, 2012, Gallery Jo, Philadelphia. All shown drawings: graphite on paper, 72 x 72 inches. Photo: Ken Yanoviak. Courtesy the artist. To make my other work—the rock frottages—I look outward. I haven’t done a “rock frottage” in several years. These were made with chunks of graphite on large sheets of white paper that were laid out on the desert land. I lay on top of the paper so that I could feel the land through the paper while I was drawing it. There is something very moving about lying down on the land. I experience a magnetism that fills the body’s lack of solidity. While I made most of them in the New Mexico desert, I’ve also made several in New York both inside and outside in the streets. 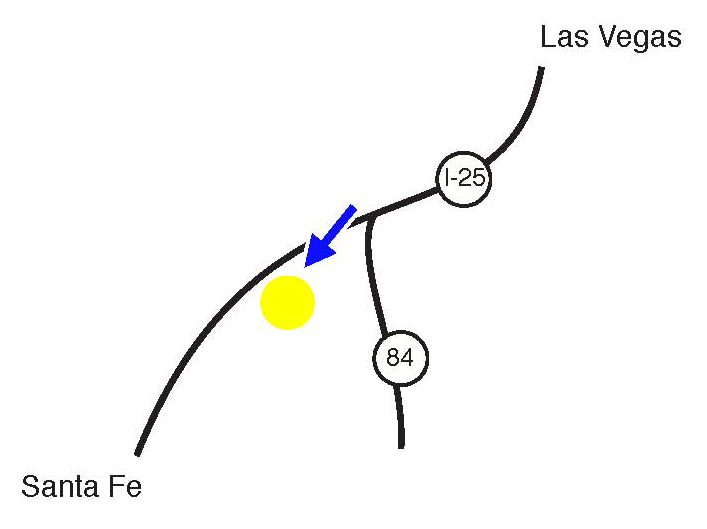 The magnetism occurs in both places. It’s not about being in the desert. It’s about being on the ground. This work has changed. I now seek momentary (and minimal) records of the land. (As with the breath to the body.) There is a cliff on a mesa in New Mexico that’s covered with rocks that have metate-like depressions. I made some of the frottages on these rocks, but the current drawings – in India ink on rice paper – are more like “shadows” of the metates. The drawings are so lightweight that they fly around in the wind. 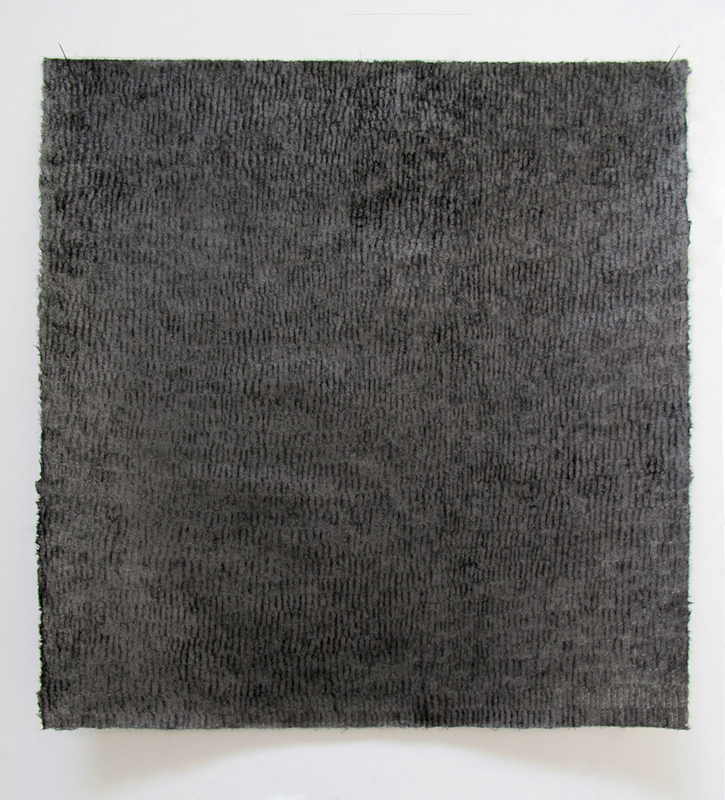 Jill O’Bryan, 31,616 breaths between July, 5 and August 12, 2012, graphite on rice paper, 16 x 16 inches. Courtesy the artist. KMQ I like to imagine this connection of earth to sky via the wind – there is something quite metaphysical about an investigation of space as solidity and as abstraction; for while the sky is every bit as physical as the earth, we cannot perceive this well and it becomes therefore a place of dreams. I like to imagine the drawings as kites or birds flying freely. Does the repetition of breaths represent discipline? Does it tether you to reality? Ground you, so to speak? JO’B I love your observation of wind as a connection between earth and sky! Yes, these drawings are featherweight and perhaps most beautiful as flying objects. When displayed they are pinned to the wall at two points so that they move as you walk by them. In terms of the breath drawings I’m not really interested in repetition for its own sake. The counting of the breaths is an investigation into interconnectivity. John Whitfield’s In the Beat of a Heart describes the relationship of metabolic rates to body size and life spans: for example, all mammals’ hearts beat an average of 1 billion times in a lifetime. He reveals a mindboggling unity of nature, but I find interconnectivities are also political…sameness allows us to recognize one another. I decided that 1 billion breaths is in and of itself a calculation worth spelling out. Having said this, the drawings are equally about rigor, and they are performative in that they archive bodily movements. Sometimes the drawings come easily and sometimes I have to really force myself to sit still to make them. KMQ One last question: that bright yellow billboard against what I imagine to be a fairly constant azure blue sky…I’ve never known you to introduce color into your work. Is this another gesture of audacity? Audacity, on your part, seems a challenge to participate, to make a connection, to join in…quite likely I am projecting my own aloneness onto your billboard but I think if I were driving by I’d either crash or pull over to the side – wanting to join the idea longer than a split second of a breath! JO’B Thank you for that excitement! I would hope for this response. It is a message of inclusion as well as a bit of a dare. 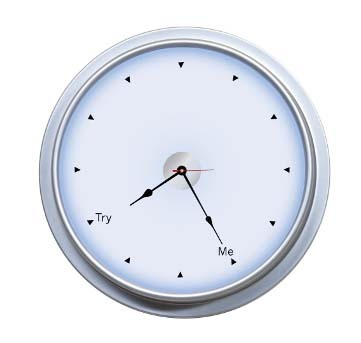 Like it or not you have already joined in! The billboard participates in the iconography of road signs. Black text on yellow signifies either a warning of some sort or a command, YIELD, but not an imperative, STOP. 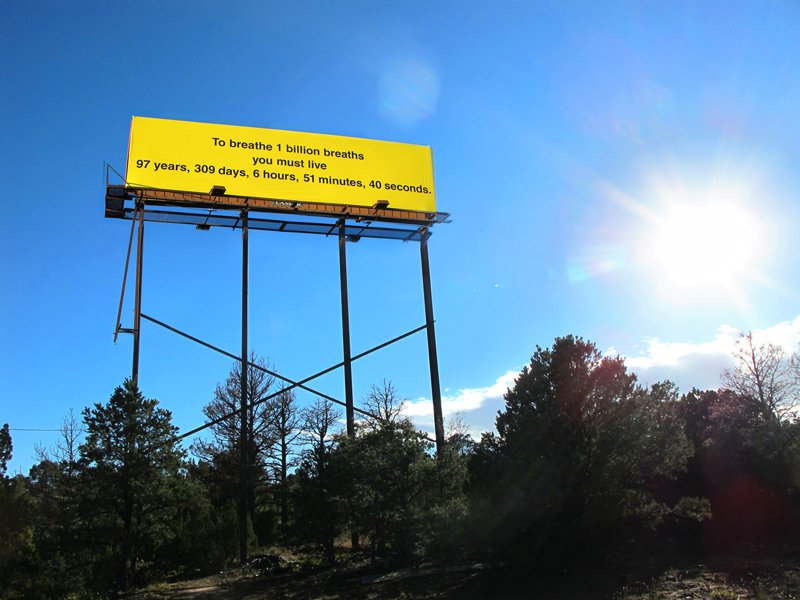 I was astonished by how intensely the blue of that endless sky set off the yellow billboard. Recently a picture of it taken by a Hunter College professor made the email circuit. I was elated to discover that the billboard is causing people to halt long enough to take it in!